Corporate and Business Law - Attorney at Law - William Glenn Roy Jr. Whether starting a new business or growing your existing business, you will face new practical and legal challenges. Glenn Roy Law can provide the legal tools and know-how you need at every stage of the business life cycle. Glenn Roy Law can create tailored solutions for business formations and beyond in financing, joint ventures, strategic partnering and all necessary documentation while working with our associated tax lawyer, your accountant, financial advisors, and other business advisors. 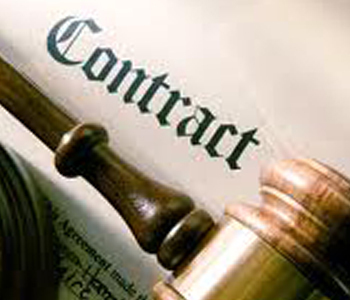 We consult on contracts, shareholder agreements, corporate succession planning, employees, collections and more. On request, Glenn Roy Law can also review and maintain corporate minute books so the required annual directors and shareholders minutes are properly prepared, executed and maintained in compliance with applicable laws. Also on request, we can conduct meetings for shareholders, directors, officers; and LLC managers and members. Glenn Roy Law has historically represented primarily closely held corporations and business organizations as well as emerging entities, individuals, and entrepreneurs. We represent clients across multiple industry segments with respect to acquisitions, stock purchases and asset sales for closely held companies, corporate governance and audit committee matters, new business ventures and strategic alliances, supply and distribution arrangements, employment and executive compensation matters, service mark and trademark registration; and franchise enforcement matters. Glenn Roy Law advises privately held companies on formation, mergers and acquisitions, corporate restructurings, private equity and venture capital, commercial finance, and general corporate matters. Our industry experience includes transactions in a wide range of fields, including construction, real estate, light manufacturing, distribution, restaurant, franchises and limited technology sectors. Prosecution and Defense of Business Contract Disputes and UCC issues.